When Florida residents voted to pass Amendment 2 in November of 2016, they helped to make medical cannabis widely available for those who qualified to use it for certain medical conditions. Prior to Amendment 2, those who suffered from a terminal disease with a life expectancy of less than a year were the only ones who could gain access to medical marijuana through the Compassionate Care Act. Those individuals only had access to marijuana with a very low percentage of THC, the psychoactive chemical in cannabis that is key in many treatments. Cancer: can be especially good for treating nausea and dizziness caused by cancer treatments such as chemotherapy and radiation. Epilepsy: as proven effective in reducing the number of seizures those with epilepsy experience. Glaucoma: can lower eye pressure and help treat the pain that results from glaucoma. HIV: can help boost the immune system. AIDS: can help treat the pain and other symptoms that AIDS patients experience, as well as boost their compromised immune system. Post-traumatic stress disorder (PTSD): can help calm the anxiety present in those who have post-traumatic stress disorder. It can also assist in lifting depression and improving sleep quality. Amyotrophic lateral sclerosis (ALS): can help those with ALS experience less pain. Crohn’s disease: can help heal the digestive tract and reduce the number of symptoms caused by Crohn’s disease. Parkinson’s disease: is effective in treating the palsy present in those with Parkinson’s Disease. Multiple sclerosis: can ease pain and other symptoms for those who have multiple sclerosis. If you have one of the above conditions and are interested in using medical weed in your treatment plan, read on for the steps you must take to become a marijuana patient and get your medical marijuana card in Florida. Amendment 2 applies only to residents of the state of Florida. You may be asked to prove your residency when you apply for a medical cannabis card by presenting a driver’s license, utility bill, or rental agreement. Though medical weed is legal in 23 states including New York, California, Arizona, Connecticut, Colorado, and Alaska, those who receive a medical marijuana card in the state of Florida may only purchase it in their home state from approved dispensaries. In other states that have legalized medical cannabis, you can get a recommendation for medical marijuana for any condition that causes chronic pain, anxiety, depression, seizures, neurological symptoms, or a wide variety of other conditions. In Florida, however, you must suffer from cancer, epilepsy, AIDS, glaucoma, HIV, PTSD, Crohn’s Disease, ALS, Parkinson’s, or Multiple Sclerosis to be approved for medical weed usage. Though it’s likely that more conditions will be added to the list as time and legalization progresses, these are currently the only conditions that physicians will consider for marijuana recommendations. Marijuana physicians in Florida will want to see that you have tried other treatments for your condition before they recommend marijuana. For example, if you suffer from PTSD, your MMJ Doctor may ask if you’ve tried prescription depression or anxiety drugs, relaxation therapies, or counseling. You need to prove that you have already attempted other methods of treatment for your condition and these treatments either have not worked or have produced side effects that you find unacceptable. If you have not yet tried anything to treat your condition or have only tried over-the-counter medicines, your medical marijuana doctor may turn down your request to have a marijuana card for treatment. To get a medical marijuana recommendation that leads to obtaining a medical marijuana card, you must see a physician qualified to prescribe cannabis in the state of Florida. A list of these physicians can be found on the Office of Compassionate Use website. 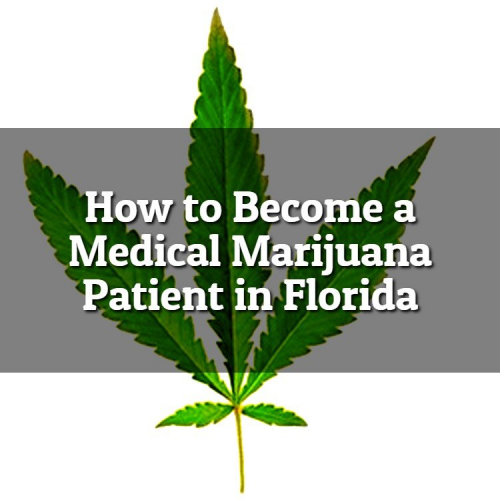 To provide legal recommendations of medical cannabis, a physician must have an active and unrestricted medical license and must complete a course in medical weed by the Florida Medical Association. At Mmj Doctors Miami, our doctors are licensed to prescribe cannabis to all qualified patients. Visit us at 434 SW 12th Ave, Ste 206, Miami, Fl 33130 or call for your appointment at (305)776-2898. In your appointment with the marijuana doctor, they will review your medical history and determine if your condition fits into the 10 that are currently approved to be treated by medical pot under Amendment 2. They will also determine if you have tried other treatments for your conditions and the reasons why they proved to be unsatisfactory. If you are deemed to be eligible for medical pot treatment, the physician can ‘qualify’ or ‘certify’ you to purchase medical pot. 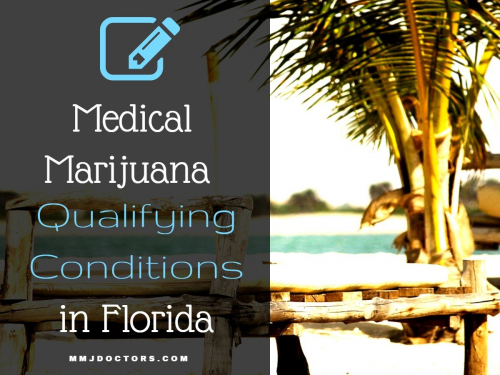 10 Qualifying conditions for Medical Marijuana Card in Florida. After you have been certified by a qualified marijuana doctor, you must complete a marijuana card application with the Department of Health. This will then be reviewed by the department and, if approved, a medical marijuana card will be mailed to you. You are now legally able to purchase medical marijuana to treat your condition from an approved Florida dispensary. Visit us at 434 SW 12th Ave, Ste 206, Miami, Fl 33130 or call for your marijuana appointment at (305)776-2898. Click to schedule your appointment for marijuana card here.